The vast majority of employees of banks, brokerage firms, and insurance companies charge a management fee part of the time and are commissioned salespeople at other times. 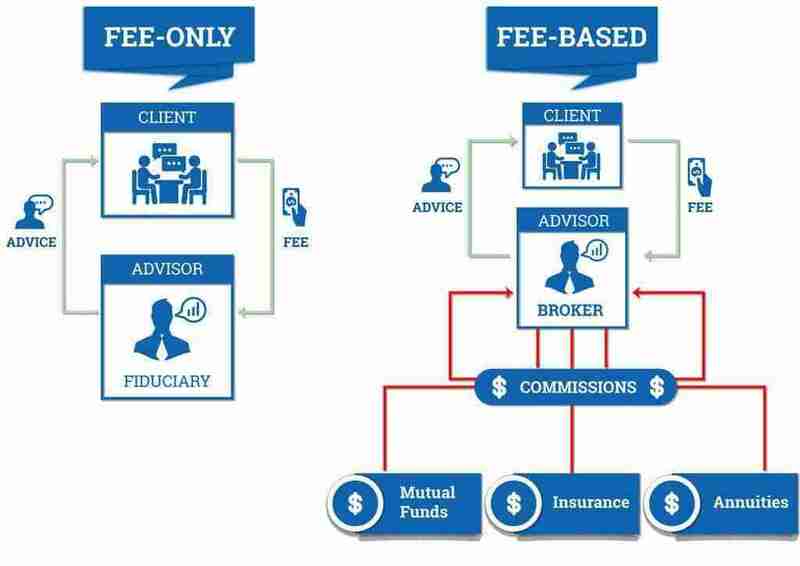 These brokers call themselves fee-based, attempting to confuse you into thinking they are fee-only. Their employers, in turn, pass their expenses on to you in the form of hidden costs. Keeping this in mind allows you to understand how fee only advisors work by contrast. Simply put; we value your outcome over our income. Traditional Financial Advisors or Brokers most often sell products that are the driving motivation for the “advice” they give. When you work with us you can rest assured knowing that you will receive only objective advice. As A Fee-Only Registered Investment Advisor we are held to a higher Fiduciary Standard, we are required by law to act with undivided loyalty in all circumstances, to our clients. This includes disclosure of how we are compensated and any conflicts of interest.